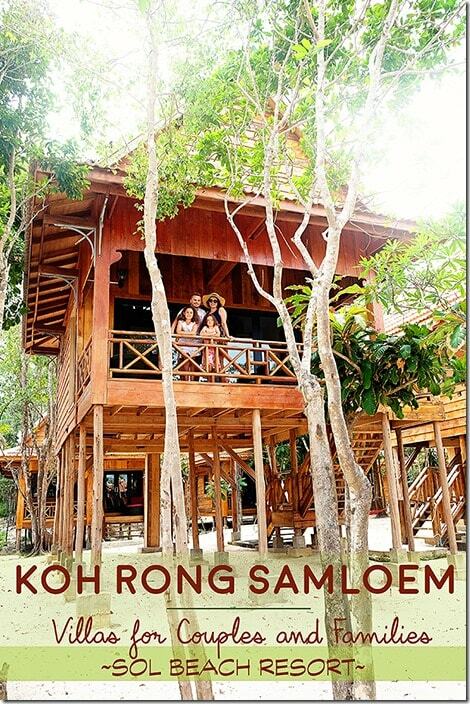 Our Review of Sol Beach Resort Koh Rong Samloem, Cambodia! Located on the best island in Cambodia, on an unspoiled stretch of beach, in the Gulf of Siam, where the sand is a the whitest of white and the calm waters a range of gorgeous blues! 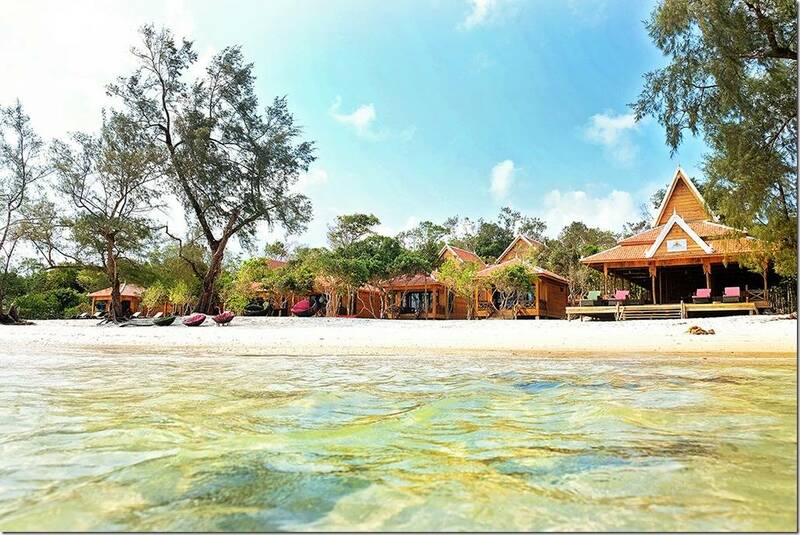 Right there, in the perfect spot, you will find Sol Beach Resort Koh Rong Samloem. 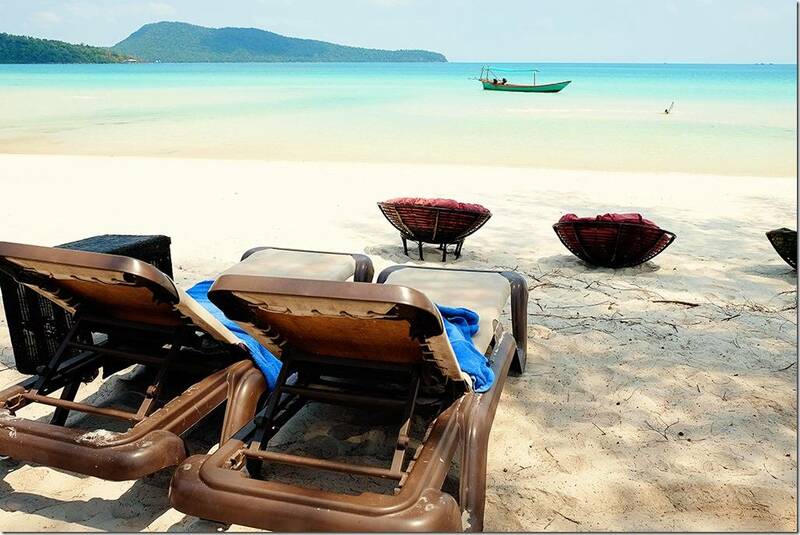 Sol Beach Resort is located on the ‘better half’ of the set of two Koh Rong Islands. 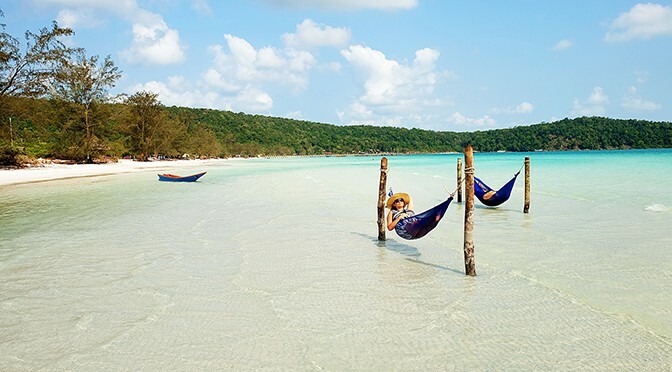 Koh Rong Samloem is the smaller of the two, and whilst Koh Rong Island tends to attract the party-goers, the backpackers after some fun times and the noisemakers; Koh Rong Samloem offers you a dreamy, slow-paced, peaceful oasis to unwind on. The perfect Cambodian island to escape to as a couple on a romantic break or to enjoy some peaceful quality time as a family! 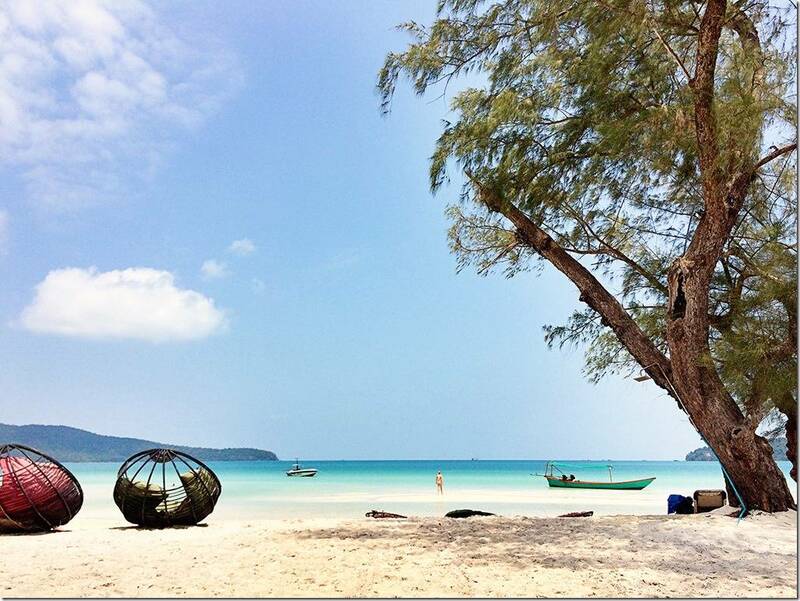 This little island is located about 24km away from Sihanoukville in south-west Cambodia. The island is around 9 kilometres long, 4 kilometres wide and 1 kilometre wide at its narrowest point, making it an easy island to explore. 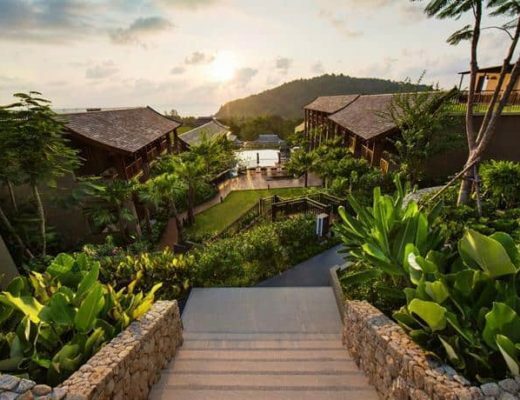 What makes Sol Beach Resort stand out from the rest of your accommodation options for Koh Rong Samloem is the fact that these beach bungalows are built with a focus on luxury in mind. Here at this resort you can find villas big enough to house your family (something that is really hard to find on this tiny island), you will also have access to beautiful hot water showers, air cons to cool you down (and trust me you NEED these!) as well as access to WiFi for those who like to stay connected to the rest of the world. Most of the staff speak English, so communicating any concerns is easy and both Asian together with International food options were on offer from the menu at the restaurant (our kids were thankful for their choice of pasta). So if these aspects are important to you, look no further than Sol Beach Resort. Arrival at this resort is truly a unique experience! 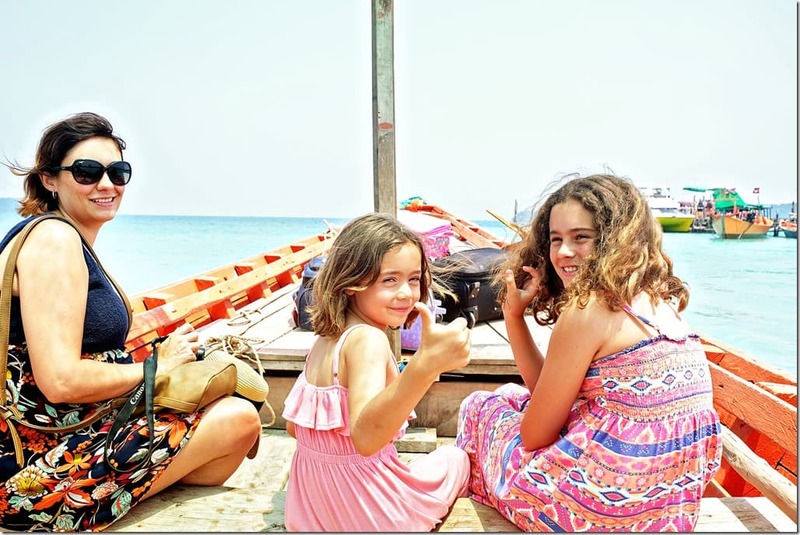 After your arrival to Koh Rong Samloem Island by your choice of ferry, you will be greeted along the side of the pier by the driver of a smaller ferry boat that will take you right to the oceanfront door of your Cambodian island paradise-style resort. The ferry is only a short trip away from the resort, but it does save you from dragging your luggage behind you as you make your way along the beach instead. Plus there is something luxurious about the private transfer to a resort by the ocean isn’t there? It is important to note that this boat will drop you off in a typical island-style manner, which means right in the ocean itself. So make sure you wear shorts so you can wade yourself through the shallow clear waters towards your new home away from home. Upon arrival, you will be very warmly greeted by the manager of the resort, who will do her best to keep you comfortable whilst you wait for your villa to be ready. As this is an island where ferries only come and go twice a day, it is important to realize that you might need to be patient until your room will be vacant! The beautiful thing is, that if your room is not available yet, and another one is free, they will offer you some space to go and change, so you can go laze around on the beach while you wait. Sol Beach Resort has its only little section of private beach along Saracen Bay. There is a small selection of beach furniture as well as hammocks for the guests use as well. A truly perfect way to unwind and relax as you watch some boats come and go. Guests love to go and lounge out right in the ocean with a drink in hand as it might just be the coolest way to survive some of the hotter periods of the day! We visited a few different beaches on our stay in Cambodia and if you are wondering which beach was the best beach in Cambodia, then this has got to be it!! Every single morning I was amazed at the scene that stretched out in front of me, paradise views!! The whitest of sand, beautiful and soft; calm ocean water, with the most amazing shades of blue. Truly a splendid place to be! I simply could not get enough of laying around in the hammocks and simply staring out! I had a book with me as I thought I was going to relax and read, but the view kept on stealing my attention and very little reading was done as result! Even the kids were more at peace here in this island oasis. The water so shallow that we didn’t feel like we had to watch them 24/7 and the island so quiet and small that they could run about if they pleased! It is not often you find a paradise that is relaxing for both parents and children alike! The grounds of Sol Beach Resort is well maintained and raked every single morning. The raking is important not only for the aesthetic appeal it brings, but also, more importantly, to keep the pesky sand flies at bay! Both the Koh Rong islands are notorious for the potential of sand fly infestation; more so in the wet season than in the dry, however. It is important to think about choosing to stay at a resort that minimizes the annoyance of the sand flies and that also provides you with beach furniture to keep you well elevated above the sand. We had absolutely no issues at all with sand-flies, despite the kids digging and playing in the soft beach sand whilst there. 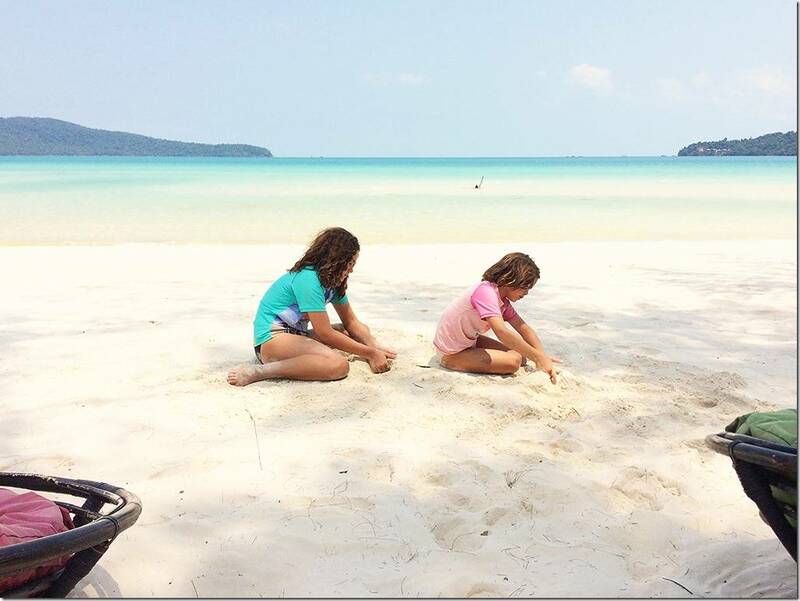 But when travelling as a family with kids to Koh Rong Samloem Island, it is best to make the smartest decisions for not only yourself but also for your little ones. 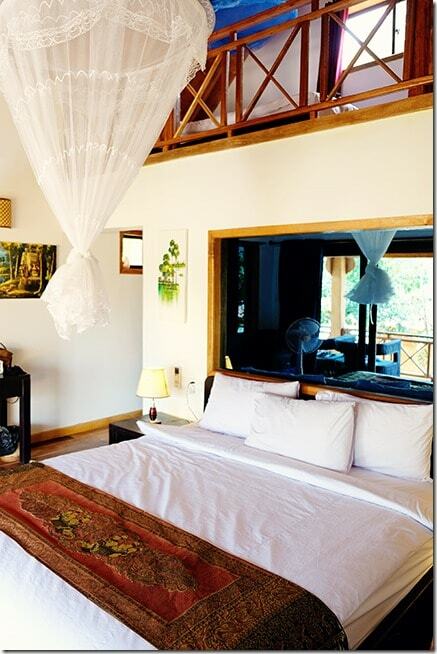 Sol Beach Resort offers Khmer-style beachfront accommodation suitable for either couples or families! 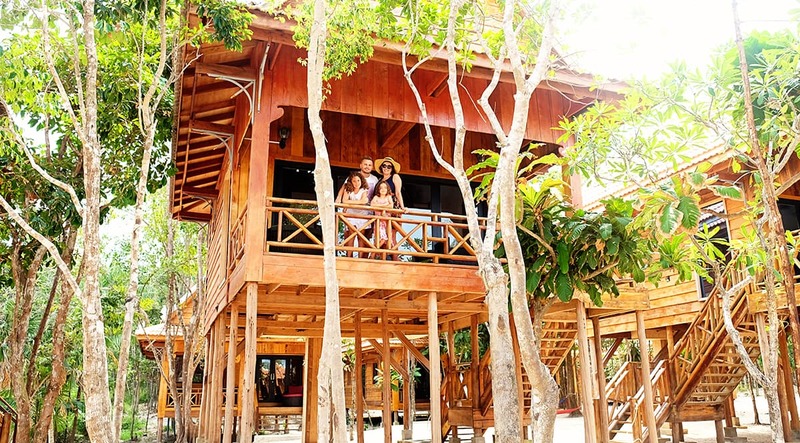 During our stay as a family, we were privileged to be guested in one of the gorgeous Sea View Treehouse Double Villas. The kids thought this was the ultimate kid's paradise accommodation. 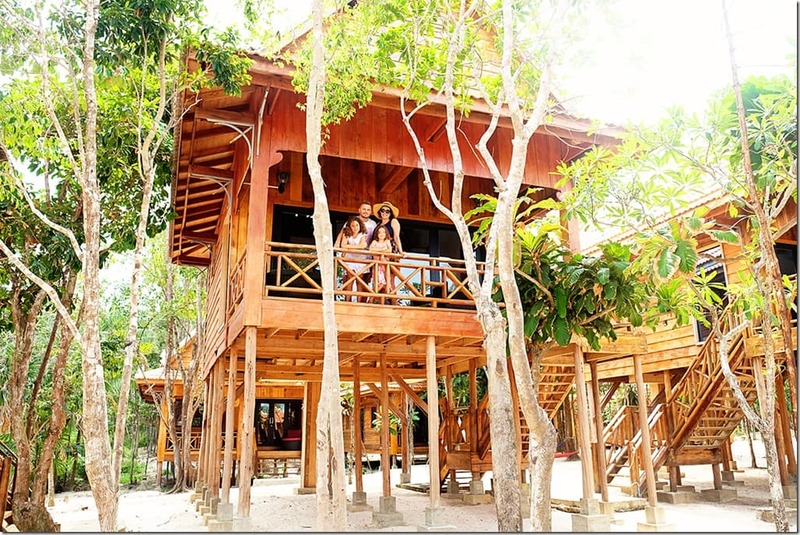 A house on stilts, in order to get a glimpse of the sea with the couple beach front villas set on front of us. A beautiful height to get some cool breeze in the late afternoon. The rooms have been built with a focus on luxury, but also with an Eco focus in mind. 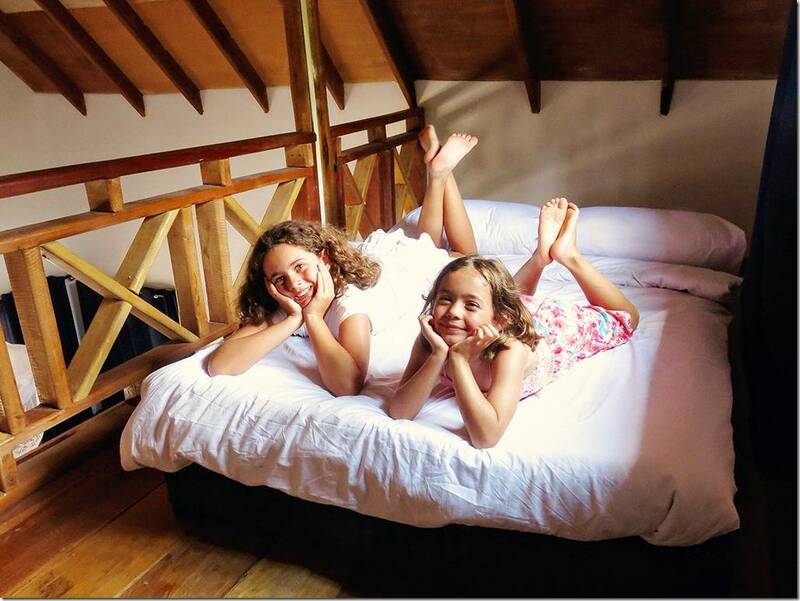 In the loft room up the stairs, you will find a double bed for the kidlets! They loved sleeping up there! It is important to note that there is no wall separating you from the upper bedroom, so if a second bedroom is your preferred way of travelling, we recommend you book the Family 2 bedroom villas! They are a touch more spacious as they have an inner lounge area as well. Our Treehouse villa also had a little patio outside with some comfy furniture to laze around on. There is also an electrical plug outside, so in the hot afternoon hours, we simply plugged a fan into the outlet and enjoying laying in the breeze whilst reading a book! The resort has its own open-air restaurant available on site, where you can order from either International or Asian cuisine options. Breakfast was also very yummy, our kids enjoyed honey and banana pancakes, whilst hubby and I got stuck into fruit platters and typical western-style breakfast dishes such as omelettes, or bacon and eggs. Other services that the resort offers include a range of activities, such as snorkelling, fishing, boating and hiking (at an additional surcharge). The resort provides door-to-door shuttle services from Phnom Penh International Airport or other hotels at an additional cost. This service also includes ferry reservations to the resort. Staff were always helpful when problems occurred, we had issues with a smell from the septic tank in the first villa we stayed at, however they quickly came over to try and solve the problem and when it couldn’t be rectified, they offered us one of the other Treehouse villas which we had no problems with. On another occasion, we decided to go for a walk to watch the sunset at Lazy Beach. The staff provided us with large torches so we could light the way on our walk back. They had free bug/mosquito spray on hand for guests and also happily brought over mosquito coils to our villa when required! On checkout, we chose to take the 4 pm ferry back to Sihanoukville. Whilst we had to book out of our Treehouse at 1 pm for the next guest to move in, we were offered one of the larger family villas in the back, where we could refresh and shower before making our way back to the mainland! We truly had an awesome stay at Koh Rong Samloem and Sol Beach Resort was the perfect place to call home whilst we explored what the island had to offer! This resort offers the luxuries that we are all so used to, such as hot water, air-condition and WiFi. Commodities that are still rare to find on this small island. It is also one of the few resorts that currently offer family sized villas, especially if you are a family of 4 or larger. We wouldn’t hesitate for a moment to return to Sol Beach Resort!! 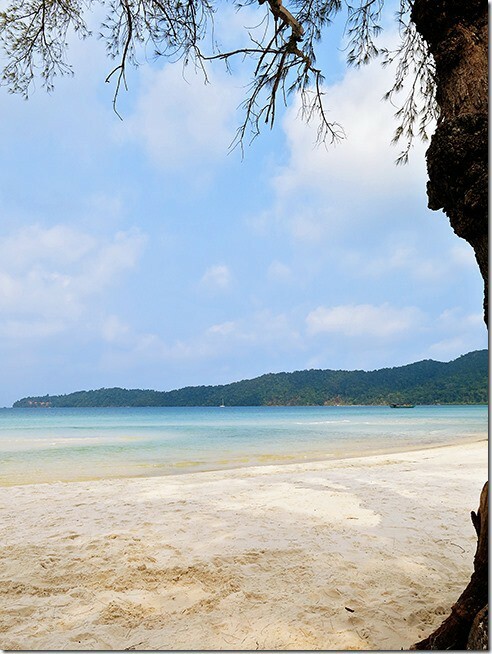 Don't Miss Koh Rong Samloem Saracen Bay & Lazy Beach! … you are after something a little luxurious and a little special on a beautiful island escape! 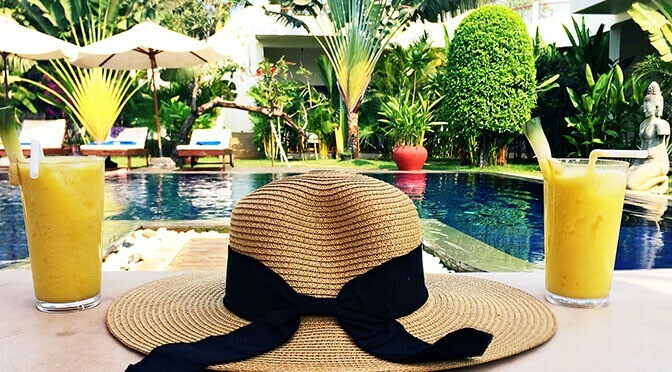 … you are after something just a touch special whilst spending time on the best island in Cambodia! 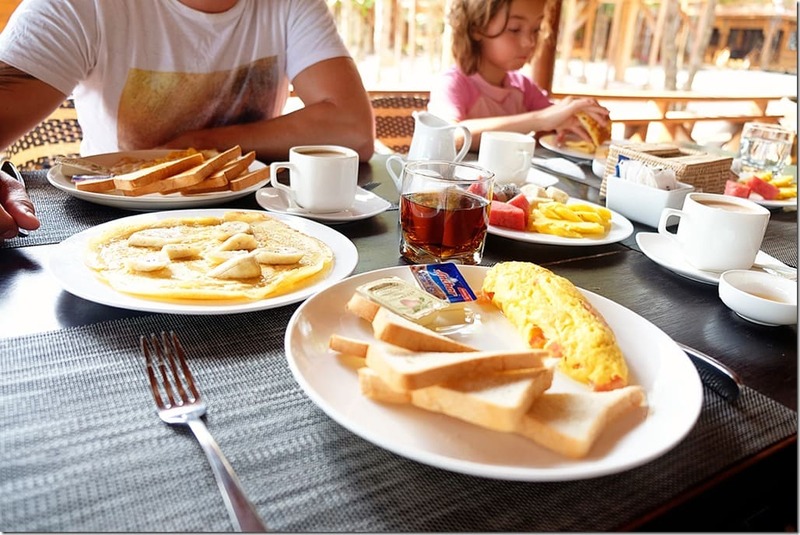 Costs of Rooms: Couple Beach Front Villas and Family Sea View Villas start from AUD $191 p/n or US $149 p/n – This includes a delicious and yummy breakfast each morning. Where: Sol Beach Resort is located on Saracen Bay in Koh Rong Samloem. 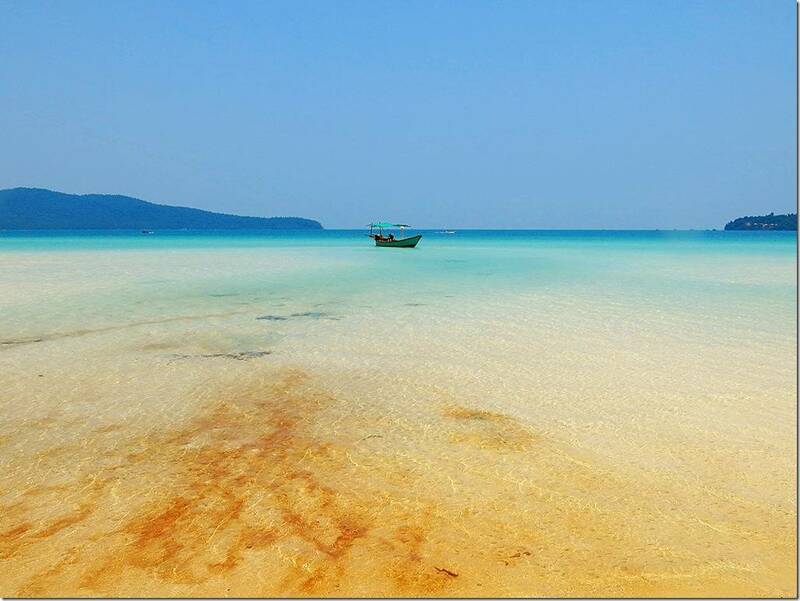 Koh Rong Samlong is accessible via ferries from Sihanoukville in Cambodia. 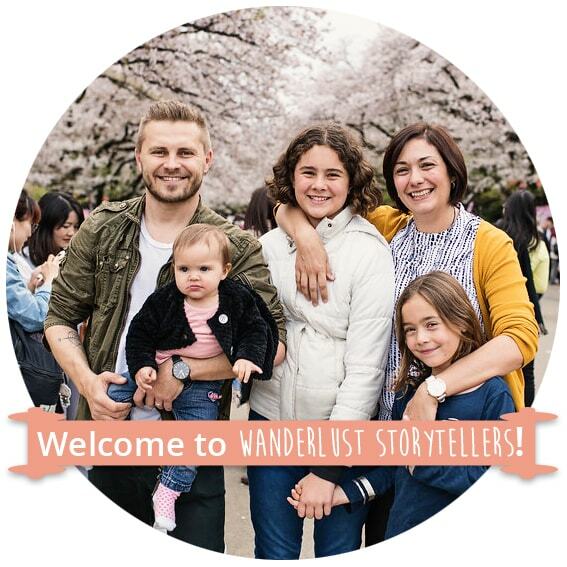 Suitable as: either a parent (couples)-escape or for a family stay. This resort is highly recommended by us! It is one of our favourites! To read more about our family trip to Cambodia, click here. 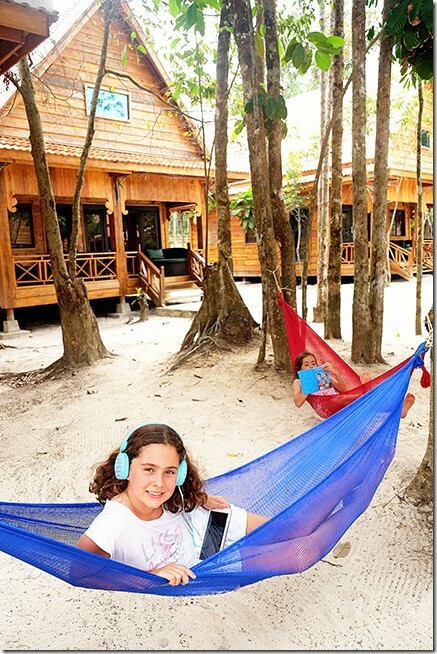 Special thanks to Sol Beach Resort on Koh Rong Samloem for guesting us on our recent trip to Cambodia. As always, the content & opinions expressed here are entirely our own.